As this post goes live, I’ll be in the hospital. 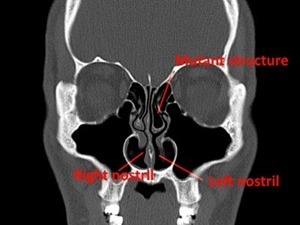 As I’ve mentioned before, I have some sort of mutant structure in my nose that tried to form into a third nasal passage. (Thankfully, no third nostril, though.) This has pushed on my nasal passages causing one to become tiny. This, in turn, means that it is almost impossible for me to breathe out of one side of my nose. Although I’m really nervous about this procedure, I’m also looking forward to not lying awake in bed at night, unable to breathe properly, and feeling the panic rising that I’m not going to get a decent breath of air into my lungs. My doctors have told me that I’ll have a quick recovery, but depending on how I feel, I might skip posting for a few days. Have you ever had a surgical procedure performed? How quick was your recovery? I knew you were having nasal surgery, but I wasn’t sure what for. Thanks for the explanation. I hope your recovery is going smoothly!